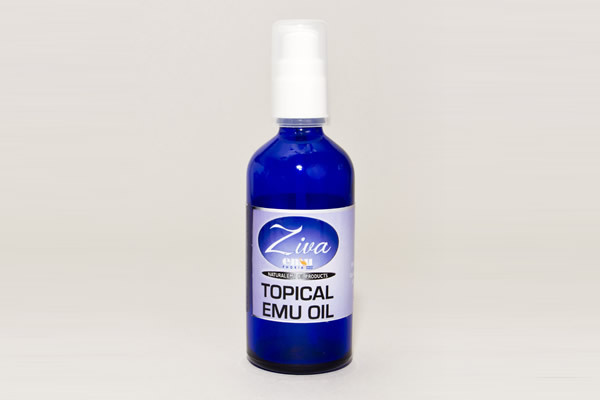 EMUPHORIA ZIVA Emu Oil can be used to help animals with arthritis, rheumatism, wounds, skin conditions and colon or stomach problems. Can also be used as a supplement to their diet and to aid forming of bone structure in dogs such as Great Danes. External Use: Apply to skin as frequently as needed. Oral Use: Add to animals food. First 2 weeks – 1 to 10kg = 2ml. Add 2ml for every 10kg. From 3rd week - 1 to 10kg = 1ml. Add 1ml for every 10kg.